Included are three different interchangeable lens plates that are simple to change (3 times, 4 times, and 5 times magnification). Also available, 7 times magnification (LE-7). 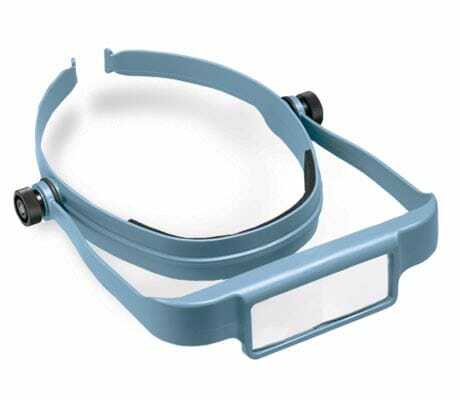 Visor can be worn over prescription or safety glasses. High strength plastic will not break. Optisight takes full advantage of ambient light in a room. Prismatic lenses help your eyes to stay focussed throughout the day.